Bristol selected to advise energy industry on safety of nuclear equipment, University of Bristol 28 March 2019, The University of Bristol has signed a Memorandum of Understanding to work with major national and international players in the energy market to ensure that all nuclear equipment meets required standards. Bristol’s Faculty of Engineering has been heavily involved with UK civil nuclear stakeholders. Teaching about radiation after Fukushima, Bulletin of the Atomic Scientists, By Maxime Polleri, February 26, 2019 ……..In the aftermath of the Fukushima meltdowns, which triggered a released of radioactive pollutants, the Japanese state initially decided to increase the mandatory evacuation trigger from 1 millisievert of radiation exposure per year to 20 millisieverts per year. In other words, the public was forced to accept a new threshold of safety. While this policy caused much scientific and public controversy, 20 millisieverts per year remains the benchmark for what is considered safe in Fukushima. Places like the Centre for Environmental Creation downplay the controversy of a raised threshold of exposure. Situated in the town of Miharu and opened in July 2016, the center was established by the prefecture of Fukushima, with the financial support of the Japanese government, to conduct research and provide education on radioactive contamination. The center is one of several government-sponsored revitalization projects aimed at rebuilding the trust of people living in Fukushima. Mostly visited by young families, it represents a new approach to risk communication. As a technical advisor explained to me, this approach aims to “deepen the understanding of children about radiation” by allowing visitors to experience information firsthand through interactive games, fun activities, and cute presentations. Past efforts to present nuclear science in appealing ways have often blended education with propaganda. The 1957 Disney TV episode Our Friend the Atomis a perfect example of this. What are the dangers of resorting to such forms of explanations in the aftermath of a nuclear disaster? In 2015 and 2017, I spent a total of 14 months in Japan examining the public’s interactive experience at state-sponsored centers and public activities that explain radiation. I found that while the information on radiation is easy to understand, many aspects of its hazards are carefully concealed. In particular, the government’s educational approach shifts the post-Fukushima Japanese public’s attention away from manmade danger and toward a vision of naturalness, technological amusement, and scientific amazement. In doing so, this approach downplays the risk inherent to residual radioactivity in Fukushima. The naturalness of radiation. One way to neutralize the perceived harmfulness of radiation is to make the phenomenon appear as natural as possible, by emphasizing the radioactivity coming from natural sources. At the Centre for Environmental Creation, one of the most popular attractions is an enormous spherical theater, where visitors are bombarded with sounds and images in a 360-degree multisensory experience that describes radiation as a natural part of daily life. “It can be found everywhere! From the sun’s ray to the mineral in the earth,” claims the theater’s narrator. “Without radiation, no life would exist on Earth!” After these explanations, an enormous Boeing passes above theatergoers’ heads in the cinematic sky, and the amount of radiation exposure received during an intercontinental flight is said to be higher than the level of radiation found in Fukushima. Their necks strained upward, visitors mumble words of apparent relief. What the theater fails to explain, however, is that there is nothing natural about the radioactive isotopes released during the Fukushima nuclear disaster, and that background radiation has little to do with the hazards of breathing or swallowing fission products—which are not rays, but dust-like particles. For instance, strontium 90, if inhaled or ingested, mimics calcium to enter an individual’s bone marrow and cause lifelong radiation exposure. This exposure can cause mutations in living cells—a permanent alteration that can lead to cancers, genetic problems, or immune disorders. It’s all fun and games. Information about radiation is often promoted through an enjoyable experience that conceals disturbing aspects of the phenomenon. In front of a giant interactive screen, for example, children can move their bodies to “block” radiation. By selecting the proper material, they can block either radioactive alpha particles, beta particles, or gamma rays. They pretend that their bodies are thick metal plates used to hamper harmful external exposure. By doing so, they collect points, and at the end of the game, the child with the highest score wins. By transforming radiation protection into a game that focuses on blocking external radiation, children do not learn of the risk of internal contamination from radioactive particles such as cesium 137, which was released in significant amounts by the Fukushima disaster. If internalized, cesium 137 gets distributed throughout the body, irradiating soft tissues such as muscles and ovaries. And because the children’s game blocks radiation in “real time,” there is no mention of any delayed health effects of radiation exposure, such as potential harmful genetic changes. At the Decontamination Info Plaza, the government promotes similar activities. Situated in the city of Fukushima, the Plaza was established in January 2012 as a joint program between the prefecture of Fukushima and Japan’s Ministry of the Environment. The Plaza’s purpose is to provide information about radiation in general, as well as explanations about monitoring methods, workshops on decontamination, and advice on contaminated sites. Basic information about radiation is presented to the public in a very accessible, visual, and interactive form……. Radiation is our friend! A third way to downplay the perception of radiation danger is to link radiation with the wonders of science and technology. This was particularly apparent during an April 2016 open house organized by the National Institute of Radiological Sciences, Japan’s leading radiological institute, which is situated in Chiba, east of Tokyo. Titled “I Want to Know More! What Can You Do with Radiation?” the public fair was a popular event at which visitors could see the institute’s research facilities, the latest PET scan technology for medical imaging, and the cyclotrons used in nuclear medicine to produce radioisotopes. A special elevator led down to the Heavy Ion Medical Accelerator, situated in an impressive subterranean facility. ……..At this institute, manmade radiation was effectively linked to technologies that sustain life. For instance, the open house showed how the radiation-related devices at the institute produce particle therapies to treat cancer. While there was nothing inaccurate about the center’s explanations of radiation as a medical treatment, the information presented was unrelated to the dangers faced during a nuclear disaster. If visitors wanted to hear more about such risks, they had to visit the station called “Impact of Fukushima.” The small station was, however, much less appealing than the other venues. It consisted of four small posters that focused on the decontamination process without explaining the adverse health effects of exposure to manmade radioisotopes. … Radiation was emphasized as a useful agent that could penetrate the body and kill harmful tumors, as was demonstrated on medical dummies during the event. In the end, by heavily framing radiation information around a beacon of technological wonder, the public opening day glossed over the danger of radioactive contamination and selectively amplified the beneficial aspects of radiation. Teaching about radiation after Fukushima, Bulletin of the Atomic Scientists, By Maxime Polleri, February 26, 2019 “…………..Ultimately, I have doubts about these education programs – [ Centre for Environmental Creation, Japan] . They are selective in their nature, making only certain aspects of radiation tangible through their public activities, while rarely explaining in detail the dangers of adverse health effects linked with residual radioactivity. From my viewpoint, their purpose seems to be dual: While they aim to shed light on the phenomenon of radiation, they are also covertly looking to defuse the threat of widespread societal unrest, to reclaim political control and economic stability, and to pacify a fearful public—and in ways that are perhaps more beneficial to the state than to affected individuals. In a community where dangerous residual radioactivity has become a public everyday concern, coming to grips with serious contamination requires more education than ever before. The important word here is education. Not state propaganda disguised as education. There is a fine line between these two, but it is a line that needs to be clearly drawn. While Japanese state approaches are innovative in their interactivity and freedom from jargon, they are less so in their content. I strongly agree that the existence of state-sponsored educational programs is better than to simply ignore radioactive risk. But mobilizing specific explanations that downplay the real risk faced by citizens is not sustainable. Doing so will reproduce the ignorance, secrecy, and values that led to this disaster. Public well-being, democracy, and science cannot thrive in such context. An unbiased effort to educate people about the specific hazards of radioactive contamination, and correct misunderstandings about the risk of radiation exposure, does not have to be delivered in a dry and clinical manner. It can be as fun and engaging as anything the Japanese centers, exhibits, and public days are already doing. Bridgwater Mercury 14th Feb 2019 , MORE than 70 children from local primary schools headed to Hinkley C last week for the official naming ceremony of three enormous tunnel boring machines. first of which will see first operation in 2025. While countries like Germany, Belgium, France, and Japan are trying to find an escape route from nuclear power, Bangladesh is taking two steps back. Although the 2,400-MW Rooppur nuclear power project has already garnered some support, there are critical issues that need to be addressed for the country’s safety and security. We need to establish whether the claims of cheap electricity, people’s acceptance, risk-free waste management and use of safe technology are simply rhetoric or not. We also need to draw a careful line between fact and propaganda. Technology is ever-changing, ever-developing. Thus, the glorification of the “third generation plus” reactor for Rooppur Nuclear Power Plant (NPP) must be challenged. Russian company Rosatom won the bid to construct the plant in Bangladesh and is now trying to sell us on “post-Fukushima technology”. But can the same company guarantee that there will not be a thing such as “post-Rooppur technology”? 4,000 lives were lost in Chernobyl. Till date, USD 188 billion has been devoted towards cleaning up Fukushima. That too in a country renowned for its technological advancement. Right now, third-generation technology might be the latest one, but surely it’s not the last. When the Fukushima disaster happened, it had the most advanced technology yet, but that did not avert disaster. Advanced technology could be their selling point, but it does not truly diminish any of our concerns. In fact, the question we should all be asking is: why is such “safe” technology in such dire need of the protection of the indemnity law—the Nuclear Power Plant Act 2015—in the case of any accidental loss of anyone related? Radiation leaks are also very common in nuclear power plants, but the concerned authorities have always managed to shrug off the problem. That’s how this industry is still surviving. Only last October, the IRSN, France’s public authority on nuclear safety and security, identified a cloud of radioactive isotope ruthenium-106 in European territory originating from a Russian nuclear facility. But Russia’s nuclear agency has refused to accept responsibility (The Guardian, November 21, 2017). In India, on the other hand, 1,733 scientists and employees who used to work in nuclear establishments and related facilities died between 1995 to 2010. Most of the victims were below 50 years of age (Rediff, October 4, 2010). However, there was neither any fact-finding committee nor any public disclosure about such a large number of untimely deaths in so-called “safe” nuclear facilities. The government of India has formed three committees so far for auditing the safety and security standards of nuclear power plants, but the recommendations, which require millions of dollars, are yet to be implemented. The once-rhetorical claim made by the nuclear industry of making electricity “too cheap to matter” has already proven wrong and turned into a case of “too expensive to matter.” In fact, it matters so much that the world’s largest nuclear builder, Westinghouse, filed for bankruptcy protection in the US last year (The Guardian, March 29, 2017). And according to the latest World Nuclear Industry Status Report (WNISR), the French state-owned nuclear builder and service company AREVA had accumulated USD 12.3 billion in losses over the past six years and was at last bailed out by the government with a cash injection worth USD 5.3 billion and subsequently broken up. Such extravagant expenditure is not new for the nuclear industry. Rather it has been surviving on state-sponsorship since its inception. But now the price of this arrangement is felt so heavily by some countries that they have decided to pull the plug on it. For example, Vietnam decided to backtrack from nuclear power projects even after its deals with Russia and Japan—not because of baseless fears, but because the costs were escalating at such a rate that within just seven years the projected costs doubled (Reuters, November 22, 2016). Costs rising exponentially is nothing new. The construction of 75 nuclear reactors was started in the US between 1966 and 1976. In each of these cases, the actual construction cost was found to be 300 percent higher on average than the estimated cost at the beginning (Ramana M V, 2009). Similarly, the construction of the 1,600 MW Flamanville nuclear power plant has already required three times the predicted cost till date and is yet to be completed (Reuters, December 4, 2012). Bangladesh’s Rooppur power plant is no exception. Even before construction started, the project cost increased from USD 4 billion to USD 12.65 billion within just three years of the time frame (WNISR 2017). As the contract with Russia is not a fixed price contract, but a cost plus one, the vendor retains every right to come up with a revised budget in coming days. 90 percent of its required budget is being taken from Russia on credit at an interest rate of the Intercontinental Exchange London Interbank Offered Rate plus 1.75 percent, which is not only going to increase national debt, but also impose a great threat on our economy as a whole. Worrying still, the government has not disclosed the estimated price per unit of electricity from this plant after accounting for fuel cost, waste management and disposal cost, and decommissioning cost. While the government is touting the international standards and guidelines that will be abided, in reality, without public participation and public disclosure of the much needed Environmental Impact Assessment (EIA) and without asserting the guideline of the International Atomic Energy Agency (IAEA), these claims are nothing but sheer rhetoric. In Bangladesh, a 300-800 metre area surrounding the nuclear reactor is being considered as “Exclusion Zone” or “Sanitary Protection Zone”and it is being claimed that people are safe outside this 800-metre parameter. But according to IAEA safety standard guidelines, there are in fact two safety zones—the Precautionary Action Zone, which has a five-kilometre radius and where it is recommended to have evacuation facilities for an emergency evacuation within 15 minutes; and the Urgent Protective Action Planning Zone, which has a 30-kilometre radius and where it is recommended to have evacuation facilities for an emergency evacuation within an hour. The people of Pabna, Bheramara, Lalpur, Kushtia, and Ishwardi all live within 30 kilometres of the proposed Rooppur nuclear power reactor. Has the government informed them of emergency evacuation? Is there any plan compliant with international safety and security standards to build the infrastructure required to evacuate millions of people within hours? Would it be possible to arrange its construction within the next few years? Nuclear waste management is another concerning issue, which needs special infrastructure as well as separate budget allocation. But nothing is on the scene except a draft agreement to take back the spent nuclear fuel to Russia (Dhaka Tribune, March 18, 2017). Unfortunately, that’s not the end of the story. Russia can take back the spent fuel, reprocess it for fast breeder reactors, but it has to give it back the nuclear waste back to Bangladesh because according to the law of the Russian Federation, disposal of foreign nuclear waste is not possible in Russia (World-nuclear.org, January 15, 2018). What assurance do we have that Russia will change their law for the sake of Bangladesh and do this costly disposal free of cost? Or is Bangladesh going to be the next destination for the disposal of the Russian nuclear industry’s waste from all over the world? The top-heavy, wasteful, authoritarian world of nuclear power is being challenged by the innovative, low-cost, democratic world of renewables. Rational societies are reaping the latter’s benefits. Germany has decided to close down all of its nuclear reactors by 2022 and replace those with solar and wind power. With the plummeting cost of renewables, they are winning (World-nuclear.org, January 15, 2018). They exported 53.7 TWh of electricity in 2016, setting a new record and are going on to become the biggest net power exporter in Europe (WNISR 2017). Renewables were the largest contributor to their power mix. In India, solar and wind electricity is now being produced at costs below BDT 3.5 per unit and they have already set a target to install a combined 100 GW solar and 60 GW wind power plant by 2022 (Mnre.gov.in). In Bangladesh, on the other hand, renewable energy and imported power were presented as substitutes for each other in the Power Sector Master Plan 2016 (PSMP–2016). In the whole energy mix, only 15 percent of the electricity generation target has been fixed for renewable energy or imported power capacity addition. The renewable energy based generation is shown as 7 TWh—a mere 3 percent of the total demand by 2041. The PSMP–2016 also estimated 3.6 GW of potential renewable-energy-based power generation all together. This is in sharp contrast to recent research with predicted that, only from wind power alone, Bangladesh has the potential to generate 20 GW of electricity (Saifullah et al, 2016). Globally and locally, scholars from across different disciplines are working on developing better frameworks, methods and models of renewable energy. A group of scientists from Stanford University working extensively on clean energy, last year found that by 2050, a 100 percent renewable-energy-based solution for Bangladesh is not only possible, but is also the most economical option. According to their research, per unit electricity cost would be BDT 5.6 from renewables at the 2014 USD rate, which would save BDT 2,000 per person per year by 2050 (Jacobson et al, 2017). The rationalisation for nuclear power hinges on a high initial cost for future benefit, but if we take into account its costly waste management, the need for decommissioning as well as loan repayment, Rooppur is little less than a future burden. Disregarding proper procedure and public consultation, the Bangladeshi government is not only constructing the 2,400 MW Rooppur nuclear power plant, but is also planning to install more such plants with a capacity of 4,800 MW across the country by 2041. Rooppur nuclear plant is not the technological milestone that it is portrayed to be. After all, how can imported technology and foreign dependency be a landmark or our nation’s scientific community? Without dealing with the contentious issues surrounding Rooppur, the plant may turn out to be the cause of endless misery for Bangladesh in the days to come. Mowdud Rahman is an engineer and Energy Technology Researcher at the Indian Institute of Technology Bombay (IIT Bombay). Debasish Sarker is an engineer and PhD Researcher on Nuclear Safety at Helmholtz-Zentrum Dresden-Rossendorf, Germany. https://www.birmingham.ac.uk/news/latest/2018/12/safe-and-clean-energy-research.aspx19 Dec 2018 University of Birmingham experts are partnering with Chinese nuclear regulators in helping develop cleaner, safer and more sustainable civil atomic energy. The University has signed an agreement with the Nuclear and Radiation Safety Centre (NSC), Ministry of Ecology and Environment to work on collaborative education and research in nuclear policy, safety and regulation, as well as the environmental impact and assessment of nuclear radiation. Following an earlier visit of a University of Birmingham team to NSC headquarters in Beijing, a senior delegation headed by Deputy-Director General CHAI Guohang visited Birmingham to further develop the collaboration and sign the agreement. The visit was attended by a representative from the Chinese Embassy in London. Signing the agreement on behalf of the University of Birmingham, Pro-Vice-Chancellor Professor Andy Schofield commented: “The University of Birmingham is delighted to partner with NSC, to work together in the research and education of civil nuclear safety, policy and regulation. This is such an important area for both our countries as we develop civil nuclear power as a key part of clean and sustainable energy production. As the nuclear regulator of China, NSC affiliates directly to the Chinese Ministry of Ecology and Environment, and provides all-round support and assurance in safety regulation and administration of China’s civil nuclear facilities and radiation protection. In the development of civil nuclear power in China to meet its increasing energy demand, NSC is actively forming a wide range of collaborations with high level domestic and internal partners, including with IAEA and the UKs ONR. Partners: University of Bristol; University of Oxford; Kyoto University; Sellafield Ltd; EDF Energy; Atkins; National Nuclear Laboratory……. Supported by a £2.5m Catalyst Fund grant from HEFCE and £5m from the University of Bristol, the hub takes advantage of its proximity to a number of nuclear operations. These include the Magnox power station at Oldbury in Gloucestershire, decommissioning reactors at Berkeley, also Gloucestershire, Hinkley Point A in Somerset and Winfrith in Dorset, and the growing construction site for the new EPR reactor at Hinkley Point. Further afield but still within reach are another decommissioning power station at Trawsfynydd in Snowdonia and Wylfa on Anglesey. It also counts the nuclear fusion research centre at Culham in Oxfordshire, the Harwell research Centre and the nuclear submarine dismantling programme at Devonport as within its catchment area. Bristol and Oxford universities are already linked by a joint nuclear research centre (NRC) and the hub leverages this collaboration. …….Each research theme has a senior academic lead coordinating activity and identifying potential connections with other universities, including Oxford and the nearby University of the West of England……. The Nucleate centre is to be another collaboration, with partnerships between the University of Bristol, National laboratory and EDF Energy ……. Public engagement is also a key focus of the hub. It coordinates both national and regional outreach activities, which include a nuclear seminar series of public lectures. The hub acts as an independent gateway for promoting public understanding of nuclear energy, framing it within the context of climate change mitigation……..
California is complicit in the buildup of nuclear weapons http://www.latimes.com/opinion/op-ed/la-oe-fihn-californias-central-role-in-nuclear-arems-race-20181024-story.html, By BEATRICE FIHN, OCT 24, 2018 A new nuclear arms race is underway, with California at the center, though it’s not clear its citizens realize it. Under President Obama, plans were put in place for the U.S. to spend $1.7 trillion over the next 20 years to modernize the nation’s nuclear weapons. President Trump quickly decided that wasn’t enough; he needed new, more “usable” weapons of mass destruction. Last week, Russian President Vladimir Putin announced that his generals were ready to deploy new hypersonic missiles in the “coming months,” and days later Trump announced his intention to tear up the 1987 Intermediate-Range Nuclear Forces Treaty, or INF. The INF ended the first Cold War in 1987; its demise signals the beginning of another. In California, the new nuclear arms race is bringing in a flood of cash to laboratories run by the University of California, where scientists, engineers and technicians have had a hand in designing every single nuclear weapon the U.S. has ever built. And yet the state Legislature and the Los Angeles City Council have resolved that America should support the U.N.’s 2017 Treaty on the Prohibition of Nuclear Weapons. California is complicit in the arms race, and if nuclear weapons were ever launched, it would be one of the prime attack targets. Its citizens need to speak up to safeguard their future and end the state’s participation in the weapons industry. The relationship of UC and nuclear weapons goes back to the 1940s, when the university managed the Manhattan Project laboratory at Los Alamos, N.M. That lab developed the first nuclear warhead and the atomic bombs that leveled most of Hiroshima and Nagasaki at the end of World War II. In 1952, UC Berkeley and the Department of Energy set up another weapons research facility, in the Bay Area: Lawrence Livermore National Laboratory. Every warhead ever created and deployed by the U.S. and its allies has been designed by a UC-managed or co-managed lab. The new nuclear arms race is bringing in a flood of cash to laboratories run by the University of California. The UC regents have tried to separate the school from the weapons business to some degree. Lawrence Livermore and Los Alamos are now co-managed with Bechtel and the University of Texas. But UC’s direct ties to the labs remain strong. In 2013, when the regents visited Lawrence Livermore, then-lab director Parney Albright said, “UC is the main supplier of talent to the lab. UC faculty have partnered on more [Lawrence Livermore National Laboratory] papers than any other institution.” A third of all postdoctoral researchers at the lab, he said, came from one or another of UC’s 10 campuses. Although Lawrence Livermore and Los Alamos do not exclusively work on nuclear weapons research, it is key to both labs’ existence and funding. The 2019 U.S. budget includes $1.48 billion for Lawrence Livermore alone, with 88% of that money focused on nuclear weapons. The weapons under development in the East Bay and at Los Alamos are capable of causing harm so catastrophic it’s almost unimaginable. The labs advertise their mission as national security, but nuclear weapons development creates conditions of political and global instability, not security. That is why more than 120 nations voted in favor of the Treaty on the Prohibition of Nuclear Weapons last year. It has since been signed by 69 nations and ratified by 19. On Aug. 8, during a commemoration of the Hiroshima bombing, the L.A. City Council unanimously approved a resolution supporting the nuclear ban treaty and policies such as ending the president’s sole authority to launch a nuclear attack. The same month, the state Legislature approved similar resolutions. It makes no sense that Los Angeles and the state Assembly and Senate have overwhelmingly voted to reject nuclear weapons, but new weapons — more usable and meant to last decades — are being designed in labs managed and staffed by and with the blessing of the University of California. California is a leader on social issues, in technology and in politics. We’ve seen the power of the state’s activism on many issues, including an effective fossil fuel divestment campaign targeting the UC regents. That same energy can be brought to the issue of nuclear disarmament. The University of California must permanently disengage from developing nuclear weapons, and the state’s representatives and senators in Washington should take the lead in supporting the U.N. nuclear ban treaty in Congress. Beatrice Fihn is a Swedish lawyer and, since 2014, executive director of the International Campaign to Abolish Nuclear Weapons. ICAN was awarded the 2017 Nobel Peace Prize. The Nukes of ‘Fallout 76’ Are Where Power Fantasies Hit a Breaking Point, Waypoint, 16 Oct 18 Postscript is Cameron Kunzelman’s weekly column about endings, apocalypses, deaths, bosses, and all sorts of other finalities.The nuclear blast has cast a long shadow over the 20th century. When the United States bombed Hiroshima and Nagasaki, annihilating somewhere in the range 200,000 human beings in the blast and the aftermath, the new era was inaugurated. That era was defined by the fact that a single bomb dropped from a plane or delivered via an intercontinental ballistic missile could destroy an entire city, poison the land, and assure that target of the nuclear attack was harmed on a fundamental level. They were a way of projecting that a nuclear power like the United States or the Soviet Union would be able to wound an enemy so profoundly that the enemy could never recover. They were the ultimate existential threat. I say “were” because I am talking historically, but they remain a viable political option. This is perhaps why the recently-deleted tweet from Gamespot was so strange and troubling. It said this: “This is what a nuke looks like going off in Fallout 76, and it’s pretty @#%$^@ epic!”……. I am not surprised that nuclear devastation is being pitched as a gameplay feature in a video game. I don’t see it as being substantially different from all of the other horrors that we have made fun through the interactive power of video games. Our main mode of engaging with beings in video games remains killing them with blades, guns, and the protagonist’s own hands. I am not morally outraged by this. Instead, the frivolity of it, its “epic” implementation, just makes me feel so tired. When the detonation of a nuclear weapon is made into a game mechanic and declared “pretty @#%$^@ epic,” I see this simply as a symptom of how insulated games are from the world at large. While films have all the same ways of depicting violence that games have, I have a hard time thinking of a non-satirical film that revels in the absolute annihilation of nuclear war. Dr. Strangelove points out how inept the leaders of the Cold War were, but it obviously does not see the detonation of a nuclear weapon as a fun or optimal output. Our biggest video games have made executions, stabbings, headshots, and eviscerations completely ordinary. A year without any of those things would be a shocking anomaly, a true blow to the entertainment economy, and it would mean that most of our most profitable game franchises did not release an entry. And now nuclear weapons have been absorbed into this system that sees everything as a potential mechanic and a way of entertaining and maintaining players. In Fallout 76, detonating a nuclear device is just a way to generate more gameplay. From what we’ve seen of the game so far, it is robbed of any significance beyond its mechanical function. ……..
All of our blockbuster games tend toward making the player feel powerful. They want to be fun, to embrace the player, to allow them to feel like they have agency in relation to the world around them. As far as I can tell, there is nothing than will not be sacrificed or compromised in the drive to accomplish that goal. Our biggest games, like the Fallout games, are simply after their players feeling strong. Anything that keeps players from feeling strong must be minimized……..
No matter who you are, no matter how powerful you think you are, the reality is that nuclear war will either destroy you or make your life unlivable in its current shape. This reality is fundamentally at odds with how the design of blockbuster video games work. That means that taking nuclear weapons seriously in a blockbuster game is impossible…….. The problem with video games and nuclear weapons doesn’t have anything to do with nuclear weapons themselves. They are simply a human evil, the ultimate symbol of what kind of nightmare we are willing to bring to bear on one another in our quest for dominance and violence. The problem in the relationship between video games and nuclear weapons is video games. 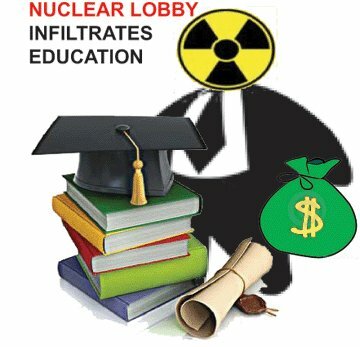 Exelon teaching kids about nuclear power – conflict of interest? DGROOM@WDT.NET , AUGUST 26, 2018 Dominick Giamartino’s eyes were big as saucers. “This is cool,” he said. Dominick, 6, a first-grader at Hastings-Mallory Elementary School, visited the Exelon Generation nuclear plant site Tuesday with his grandmother Diane Giamartino as part of the annual Community Information Night. Nearly 200 people showed up to learn more about what the company does at its three Oswego nuclear plants and the different types of jobs available in the nuclear industry. There were two buildings filled with “cool” things to see, according to Dominick. In the first building, visitors could watch a 3D printer turn out these spinning toys that Dominick and other children could take home. The small plastic devices were made of one piece of plastic, but had parts that would spin in different directions……..
Dominick saw even more “cool” stuff in the other Exelon building — especially the nuclear plant control room simulator used by employees. The control room is the brain of the plant, a place filled with various lights and readings on a huge control-room board that supervisors, senior reactor operators and reactor operators keep their eyes tuned to 24 hours a day to ensure all systems in the plant are operating correctly. NWMO introducing nuclear waste plan education to youth Kincardine News, 9 Aug 18, With summer winding down, the Nuclear Waste Management Organization is concluding a busy few months of activities engaging with area youth……. “We want to foster and support opportunities for young people in South Bruce and Huron-Kinloss. Our local youth have a lot to offer, and as we engage with them as part of Canada’s plan we hope to strengthen the impact they will have on their communities.”……. Elementary and high schools in South Bruce and Huron-Kinloss were treated to an energy and nuclear power discussion with University of Calgary Professor Dr. Jason Donev, and the Canadian Nuclear Safety Commission (CNSC) also made stops to talk about radiation and their role as Canada’s independent nuclear regulator. Local youth have highlighted their desire to seek out information on social media, specifically on Instagram.